The new Lumix DMC-G85/G80 sits somewhere between the GX8 and the G7. It provides a much more advanced user experience and more rugged magnesium body than the G7 but without the 20MP resolution of the GX8. While the shape is very much like the G7 the build is significantly more solid and the grip feels more substantial. Panasonic has weather- and dust-proofed the body and introduced a new shutter unit that reduces shutter shock in mechanical mode and which offers an electronic first curtain mode for the first time. The rear screen is the same 1040k-dot unit touch LCD that is used in the G7, and it features the same vari-angle hinge too. The viewfinder is also the same 2360k OLED but Panasonic has increased the magnification from 0.7x to 0.74x to make the view feel a bit bigger – which it does. The eye relief is also increased from 17.5mm to 20mm, to help glasses wearers. 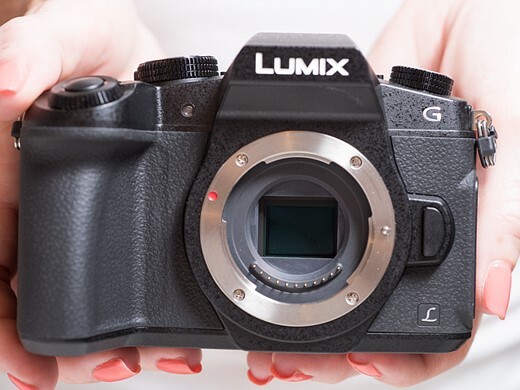 The layout of the back of the camera is much in the style of the G7, GX8 and the GH4, so will be familiar to those already using the Lumix system. 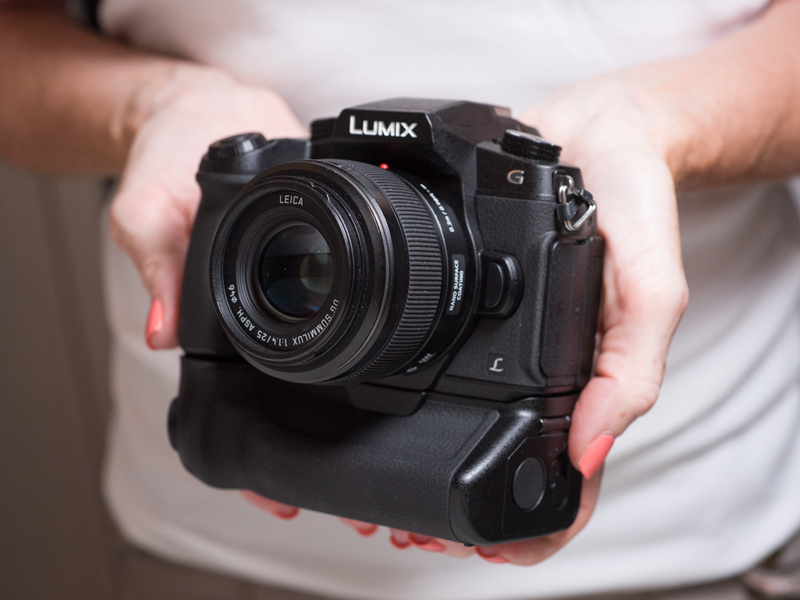 The top plate is pretty standard Lumix fare, with the dual control wheels on either side of the grip that can be customized for a range of preferences and activities. The head houses a built-in flash unit that can be used as an active or silent commander with the company’s wireless flash system. The dial on the left of the top plate provides access to some of the drive functions of the camera. The high drive mode allows shooting at up to 9fps for 200 JPEGs or 40 Raw files, and the 4K symbol indicates where we find the 4K Photo modes. The new icon of a flower and a mountain is the Post Focus setting that now doubles as a focus stacking mode. The camera shoots a 4K clip running the focus from the closest to the farthest point in the scene, and in Post Focus the user can choose which part of the scene they’d like to be in focus. 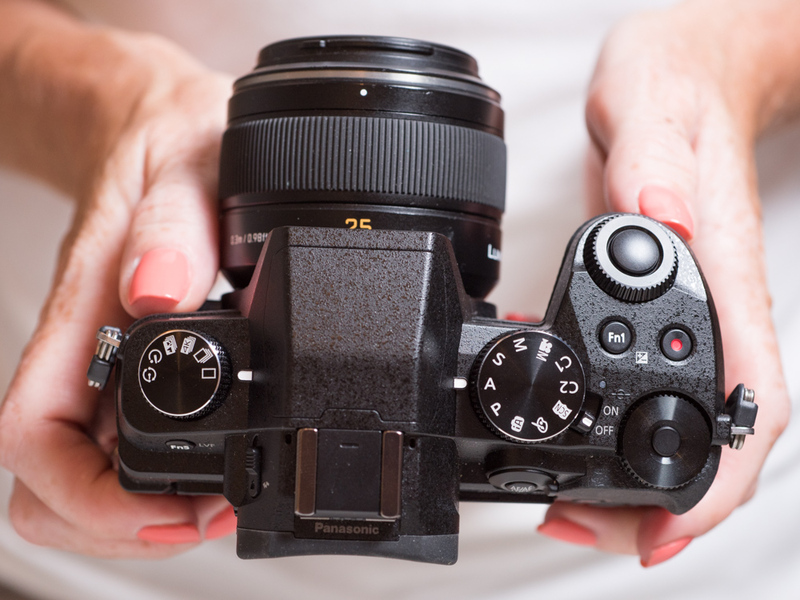 The same clip can be used to create a focus stack of either all the clips or clips just covering a particular range within the scene – so you can have full control of what is in and out of focus. The mode is only good for static subjects though. An addition to all the 4K modes is Bulk Save – which simply saves all the frames from any 4K Photo/Post Focus clip as 8MP JPEG files on the memory card. 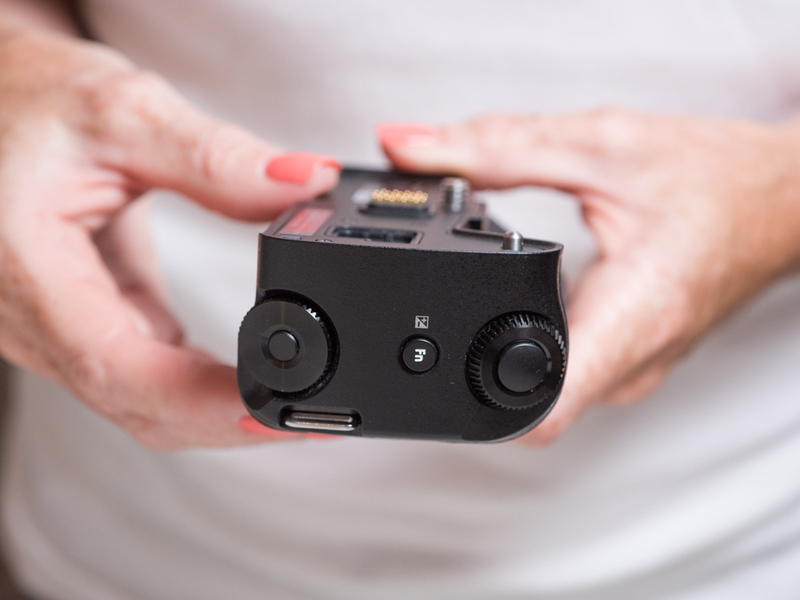 The base features the battery chamber with an additional cover that suggests that a mains power adapter will be available to run the camera from a household supply. The battery used to power the G85 is the same DMW-BLC12E 1200mAh unit that is used in the GX8. The contacts on show here are designed to connect with the optional battery grip DMW-BGG1. 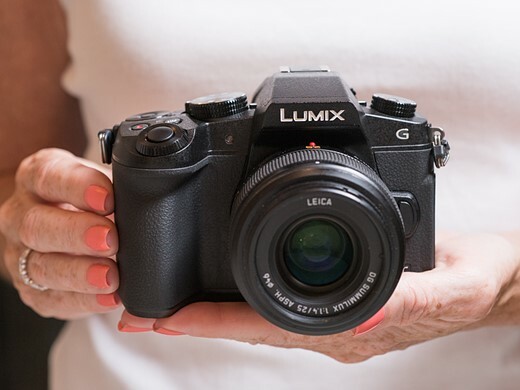 The Lumix DMC-G85 uses a 16MP Live MOS sensor that operates without a low-pass filter in the same way that the GX85 does. Panasonic has included the new Dual IS 2 5-axis in-body image stabilization system in this camera and claims it compensates for 5-stops. The system in the GX85 only claims 4-stops. The new system can combine with in-lens Mega OIS when it is available to alter the principle source of stabilization between the body and the lens according to the type of shake it expects from the focal length in use. The camera’s 4K video features are much the same as the G7’s but now include unlimited recording outside the EU and 60p/30p recording in PAL areas. 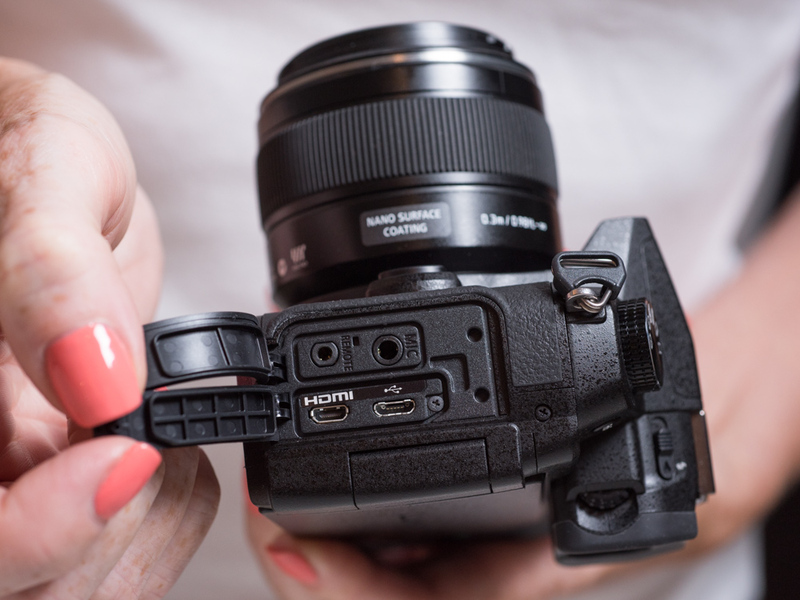 Weather-sealed covers on the side of the camera reveal a micro HDMI port along with USB, microphone and a cabled remote release socket. There is no headphone socket unfortunately, but now we can stream to an HDMI monitor while recording 4:2:2 to the memory card. On the other side of the camera you’ll find the SD card slot – which has moved from the battery compartment so that it can be accessed when the grip is attached. 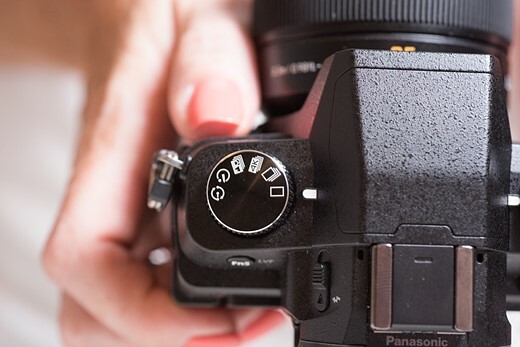 The grip provides duplicates of the top plate dials for adjusting apertures and shutter speeds, designed to feel just like their counterparts as well as to perform the same tasks. 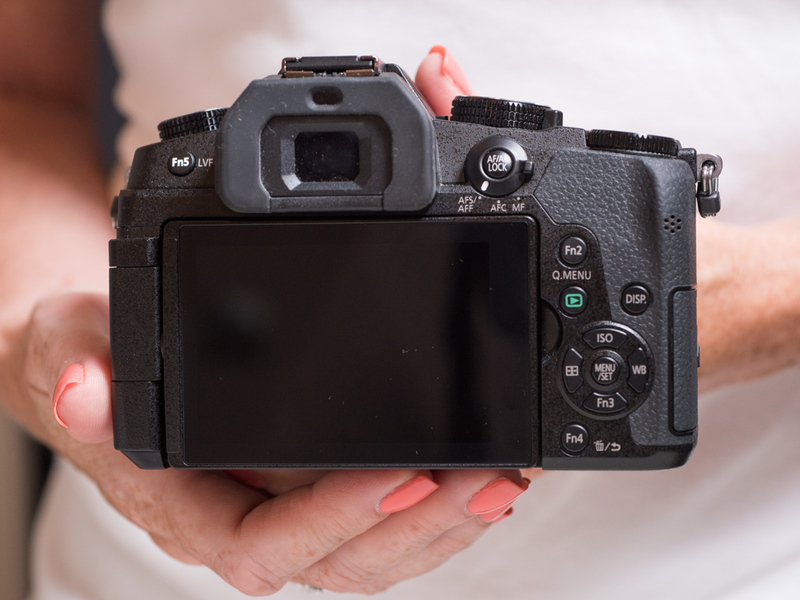 Even the exposure compensation button has made the trip, while a back-button offers AF/AE lock. The optional grip DMW-BGG1 adds considerable bulk to the G85, making it much taller than the GH4, but it also makes the camera much more comfortable to hold in the upright position. It houses an extra battery that can be accessed automatically when the body battery is exhausted or when the user switches between the cells via the menu system. 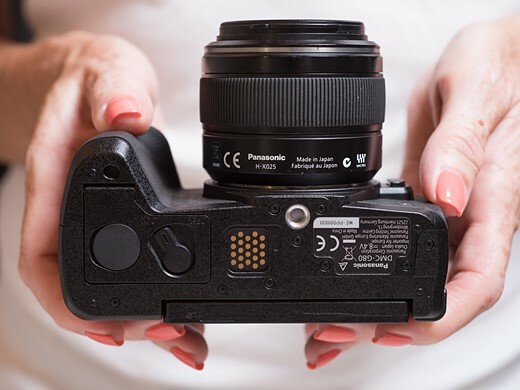 Panasonic claims that a new economy mode allows the usual expected 320 shots per charge to be extended to up to 900 shots by reducing the amount of time displays are on. The economy mode shuts off the rear screen during shooting and works most effectively for those who use the viewfinder.